Mt.Altai region holds west and north western areas of Mongolia, which is keeping Asia's most beautiful and unspoiled wilderness in its snow-capped peaks, forests, clear water lakes, and rivers. Teeming with wildlife, even including endangered snow leopards and antelopes, the region contains impressive mountain wildlife, ancient historical remains, rock paintings. It is a prime destination for adventurous climbers and hikers and nature lovers. 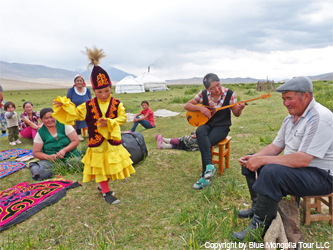 Bayan-Ulgii Province is home to a diverse population such as Kazakhs, Tuvans, Uriankhais, Uulds and some Khalkhas and its fascinating cultures, whose traditional ways of life have been preserved in these isolated mountains for centuries. Kazakhs, whose ancestors migrated to territory of Mongolia in 1800s, are living in Altai mountains as nomads and they are proud of the tradition of hunting with trained eagles. The tradition is celebrated annually at the renowned Golden Eagle Festival. Kazakhs are known for their exquisite embroidery and the fine tapestries and carpets they produce, and they are Muslim nomads. 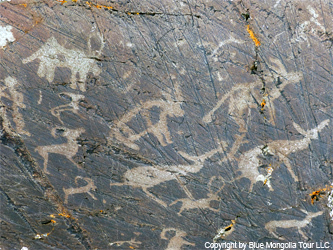 Uriankhai nomads are famous for their archery skills and they were the famous archery heroes of Chinggis Khan. 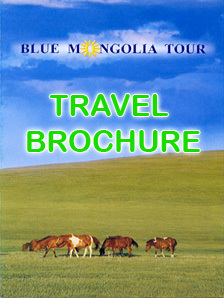 But the nomadic groups such as the Uuld, whose colorful traditional dress is unique to this part of Mongolia. Tuvans are shamanism believing ethnic group and they live as nomads, too. Visitors with an interest in Central Asia's ancient history are drawn by the burial markers and mysterious "stone men" found throughout the province, monuments to the tribes who roamed the Altai in ancient times. 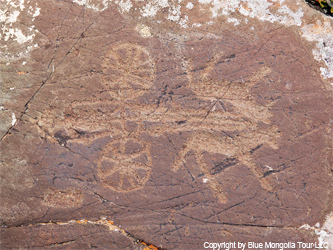 The frozen remains of a Scythian warrior were recently found near Altai Tavan Gogd Park, and a wealth of prehistoric rock paintings have been discovered in the caves and mountains of Mongolia's wild west. Highlights of Altai Tavan Bogd National Park are high snow caped 5 peaks named as Nairamdal (4857m – the highest point of Mongolia), Khuiten, Burget, Ulgii and Malchin (4025m), glaciers, ancient historical remains and unique lifetyke and culture of locals as Kazakhs and Tuvans. 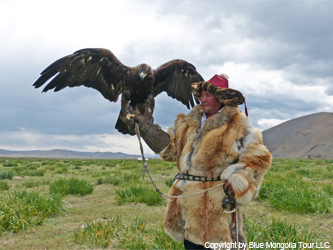 Only here you can meet Kazakh Eaglehunters with their magnificient bird, which is trapped mostly from wild. The mountain belt of the Mongol Altai with their perpetual snow, glaciers, traces and signs of ancient ice covers, has been well preserved due to a constantly cold climate and strong winds. The area is inhabited by some endangered animals (such as the Argali sheep, Ibex, Snow Leopard, Rock Ptarmigan and Altai Snowcock) and plants (such as the Dwarf Siberian Pine and White Gentiana). The biggest glacier of the country Potanin is in the Altai Mountains and has a total area of 107.9 square km. Snow capped peaks of Mongolian Altai- Khuiten(4374m),…….Malchin(4025m) are the best location for ordinary travellers and beginner climbers. If you want to to climb to Malchin Peak, it takes 5hrs up and 4hrs down. After this fun hike there is excellent view from Malchin for peak-Belukha (4506), located on the north-east (about 130kms), as border between Kazakhstan and Russian Altai Areas. Potanin Glacier and Shiveet Khairkhan Mt. Potanin Glacier /about 20km long/ is ice river starts from Altai Tavan Bogd Snow peaks. Walking along this river, you will have a great opportunity to feel yourself fresh and untouched mountain country. Near this river we see the Shiveet Khairkhan Mountian. This is sacred mountain for local Tuvan people and main shamanism religious place for religious ceremony in the beginning of July. This single high mountain has over 400 ibex as there is no hunting. On the southeast part of mountain you will see the biggest rock printing. Walking around this mountain, you will see many ancient petro-glyphs and carved stones with human face. If a traveller requests a meeting with tuvan shaman in advance, we can organize to meet with shaman man and arrange some help and religious ceremony. Altai.Mt houses a lot of archaeological sights and historical remains. The best petro-glyphs can be found near Shiveet Khairkhan Mountian. On the route between Ulaanhus and Tavan Bogd the drawings, more than 10,000 of them, are scattered over 14-15 km area. The Bayan-Olgii area has over 150 human stones, over 1500 statues, 56 deer stones, 6300 ancient graves, more than10.000 tombes, 3000 sacrifice spirits, 1500 seals/stamps and over million petro-glyphs. Kazakh ethnic group of around 10000 people refugeed to western part of Mongolia by 1850 as escaping from Russian kingdom's dictature in present Kazakhstan territory. Nowadays there are more than 100.000 kazakh people are living as mongolian citizens and as nomads, who live in felt ger and taking care for brown coloured sheep and goats. Their origin is from Kazakhstan- Turkish origin, they speak in kazakh language and thier belief is muslim. The Turkish ancient culture is connected with eagle bird, so kazakh nomads feed and pet eagle bird.